This holiday season you can give your favorite manufacturing skills training program a FREE high-precision boring head kit from BIG KAISER. Now through the end of December, when you buy one boring kit, BIG KAISER will donate an identical kit to an educational institution of your choice. 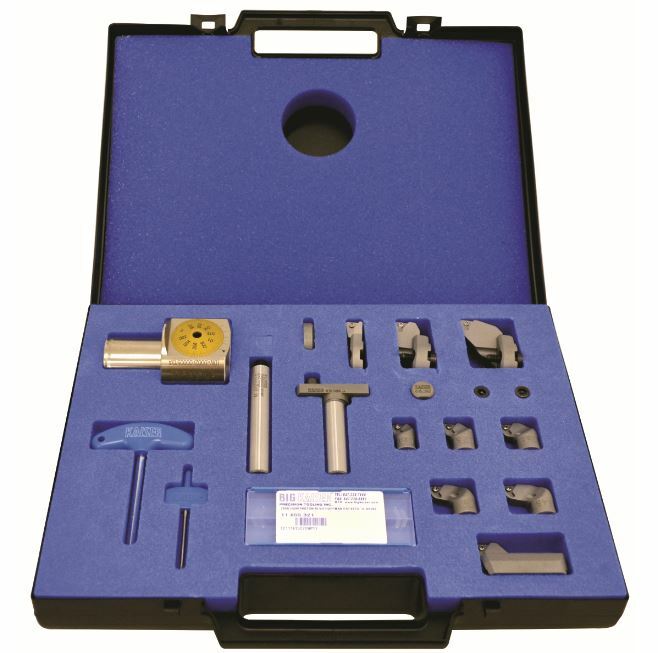 The SERIES 112 BORING KIT is a ready-to-go high precision boring head kit provides everything you need to tool up for boring jobs in a range of diameters from ø0.700″ to 6.000″ with just one boring head. The tooling and carefully selected accessories come stored in a custom carrying case with foam inlay to keep the components organized and to protect the instruments when not in use. The kits includes inserts suitable for fine boring of general steel and cast iron. The only necessary item not included is the shank, which must be purchased separately to match the taper of your machine. There are two easy requirements to purchase your SERIES 112 Kit and give one as a gift. The free kit will be sent to the school on behalf of you or your company, and you will be notified when the kit ships from BIG KAISER. Be sure to place your order before December 31, 2018, to benefit your local school.